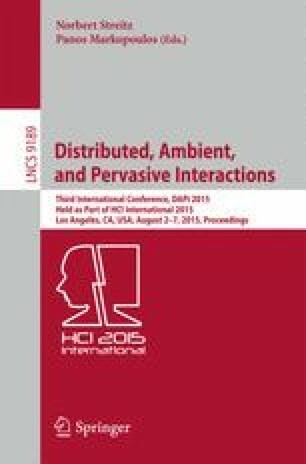 In this research, we propose the design of a sustainable on-site past-scene experience system applied in a public location using personal mobile user devices. Through our system, to experience an AR exhibition, users simply download an AR application onto their personal mobile device. By superimposing a past-scene image of an actual site onto the present scene, users can appreciate the past scene on-site through their own device without the need for any special AR device or support staff. We held both attended and unattended on-site exhibitions to evaluate the social acceptableness and effectiveness of the proposed unattended exhibition system. The results show that, using the personal mobile devices of the users, the proposed system is deemed socially acceptable, and that our unattended exhibition system can evoke and maintain user interest as much as an attended exhibition. In addition, we have been distributing this system as an iPad/iPhone application through the Internet, and the number of users is continuously increasing, thereby proving the sustainability of our proposed exhibition system. This work was partially supported by the MEXT, Grant-in-Aid for Scientific Research (A), 25249957. The authors would like to thank all the members of our project especially staff members of THE RAILWAY MUSEUM and JR Station Retailing Co., Ltd..